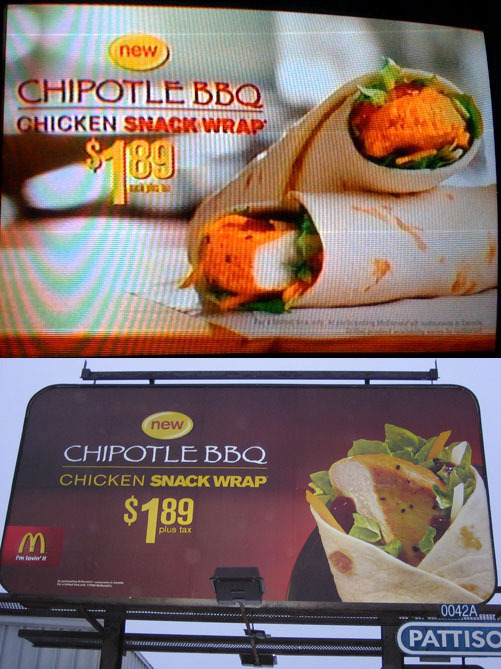 McDonald's Chipotle Papyrus | Papyrus Watch - Exposing the overuse of the Papyrus font. Holy crap, we finally got it. McDonalds using Papyrus...the worst yet and maybe ever. I think this may be specific to McDonalds Canada because I couldn't find the ads online anywhere with Papyrus in the US. Don't they have a design team? How did this happen and who's responsible for this? But seriously, I should write a letter this time. That's about all you can say about this, but we've actually tried the chipotle wrap and it's pretty good.